Keep the Ball in the Air with PandaTap! 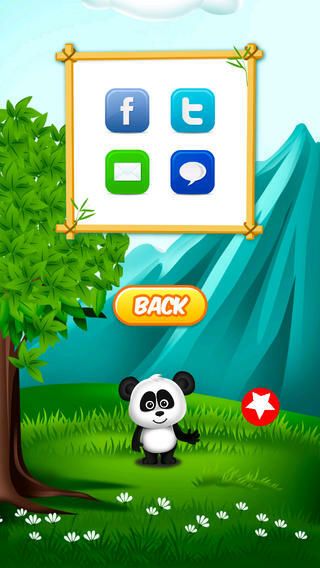 PandaTap is a simple game for kids that features bright and colorful visuals and an easy-to-learn game mechanic. 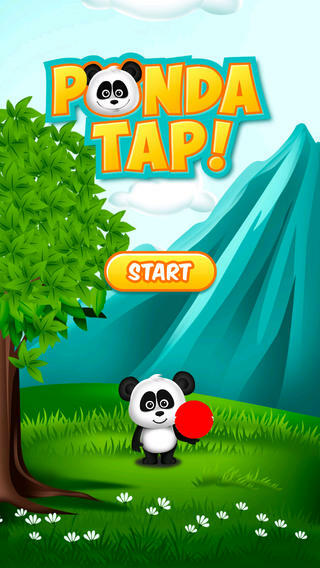 Developed by John Smythe, PandaTap has a friendly Panda character who holds a red ball and asks you to tap it to keep it up in the air. The ball bounces around off the sides of the screen and you’ve got to tap it before it falls back down to the ground. Every tap will send it flying in another direction, keeping you on your toes. Every tap gives you a point and the more points, the higher your score. 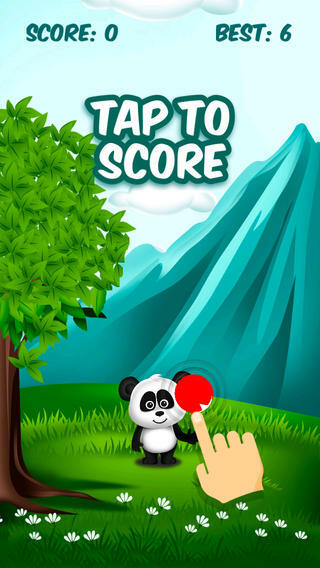 Whilst PandaTap is a very straightforward game, it’s not actually that easy to keep the ball up in the air and you have to really concentrate on timing your ‘taps’ perfectly. The game also has a leaderboard where you can check where you sit in the global standings. 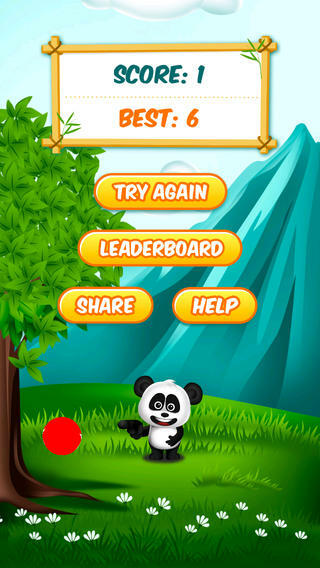 A simple game and a great one for to keep the kids occupied, download PandaTap today for free. PandaTap requires iOS 5.0 or later. Compatible with iPhone, iPad, and iPod touch. This app is optimized for iPhone 5. Follow Tapscape for the best reviews of iPhone kids games.